9 September 2014: The Society for the Protection of Unborn Children (SPUC) www.spuc.org.uk has been banned on spurious grounds by Dundee University Students' Association (DUSA) from its Freshers' Fayre. DUSA claims that SPUC's campaigns are contrary to DUSA's Constitution, and that SPUC has engaged in extreme behaviour at past Freshers' Fayres. DUSA has, however, failed to provide any evidence to back up their claims. Rachel Kidd of SPUC Scotland http://spucscotland.org/ said: "DUSA has quoted several sections of its Constitution against SPUC, but none of those sections contains anything opposed by SPUC. Also, DUSA has been asked to back up with evidence its claim of extreme behaviour by SPUC at Freshers' Fayres, but has failed to provide any evidence. "From 2005 onwards, SPUC held a stall at Freshers’ Fayre for eight consecutive years without any problems. The stall simply offered factual information on the development of the unborn child and real help to women who may find themselves in a crisis pregnancy situation. Miss Kidd concluded: "DUSA makes a great deal of noise about being fair and unprejudiced towards groups with differing views. SPUC's effectiveness in communicating the pro-life message on campus seems to have provoked DUSA to treat SPUC in an unfair and biased way." I need a quiet down day which will consist of reading more of Fr. Chad Ripperger's great book and trying to get some needed rest. But, before I leave off blogging for the day, I want to mention that several friends of mine have been awakened, since 2011, early in the morning to pray. I mean early, like four or four-thirty. These good people have been asked to pray more. I now know six or more people who get up at fourish and pray for others, saying extra rosaries, and some of these people are still working, not retired. This has happened to me since November of 2011. When I am well, and not fighting asthma all night, I get up and pray early. God is moving some of us to do this. Pay attention. If you are waking up and do not know why, it could be that God is calling you to extra prayer. We need extra prayer for reparation for the sins of ourselves and others, for the Church, which is assaulted on various fronts. We need to pray for those who may be facing great trials in the middle of the night, such as despair or loneliness. As Catholics, we have the great Theotokos, Mary, the Mother of God, as our greatest intercessor. Pray, and do not stint in prayer. See you all tomorrow, a bit later in the day. Do you all know about this? Do any readers have more reliable info on this group? I have not studied this group and came across it quite by accident. The book which set this group into play is Limits to Growth. One can see the influences which are contrary to Catholic teaching in this article. Just look at the list of books on the last entry. I admire Pope Paul VI more and more, as his encyclical Humanae Vitae was written in the ambience of these types of groups. Thankfully, I missed the rise of these ideas, converted in 1971 from stupidity and ideologies which could have led to this type of thinking. But, God protected me and renewed my excellent Catholic Classical education in my soul, heart and mind. I am sure those university students right behind me read some of this stuff. Of course, we studied Malthus, the evil genius of abortion and contraception as necessaries, an Anglican buried in Bath Abbey. The fact that Maltus visited Germany and Switzerland, which have connections to the Club of Rome seems more than coincidental. His bio is linked to Limits to Growth on wiki. Do not let or encourage your sons and daughters to have any college debt. It would be better for them to go to the local community college, (some of which have superb teachers), than get into debt. This is a repeat of something I put on the blog a long time ago, a long time ago. Those debts will be the direct cause of enforced labor or military work for the government when the economy collapses. I have heard people say that they do not care if they get into debt as there will be a collapse anyway. This is a deceitful and non-Christian view of good stewardship. One should live within one's means. I learned this the hard way and God corrected me years ago. I had to sell my beloved house rather than not pay the mortgage when I lost a job. I had to throw away and not use credit cards. This is a good discipline. I left the madness of debt. Simple living is possible and one can do it with God's help. Debtor's prisons may not be seen again, but governments have other ways of making people pay debt. Although, people could go to jail for contempt of court for not paying loans, credit cards and so on. America had debtor's prison, which although federally abolished in 1832, lasted in some states until 1849. I distinctly remember a speech by Obama when he was running for president the first time in which he said he supported a draft. It was in September of 2008 when he gave a speech referring to this. I wish I had kept the transcript. What if any president said that a youth's college debt would be forgiven for so many years of military service? Wake up, Catholic parents, please. And, I thank those readers who helped a poor seminarian get out of a small debt. He is debt free. Interview with Bishop Philip Egan found here. In my youth, especially my twenties, I was addicted to the music of Mahler. In his Eighth Symphony, in that monumental work, he refers to St. Mary of Egypt. Mahler was taken by the story of this famous saint of the Jordan area. Apparently, as early as the age of twelve, she was driven by lust, until she had a conversion in Jerusalem. Deciding to repent and become a hermit, and being under the care and direction of Mary, Mother of God, St. Mary of Egypt left all with only three loaves of bread, after receiving forgiveness in Confession. St. Zosimas met her and gave her Communion on the day she died, after she spent fifty years or so in the desert making reparation for her early life of serious sin. 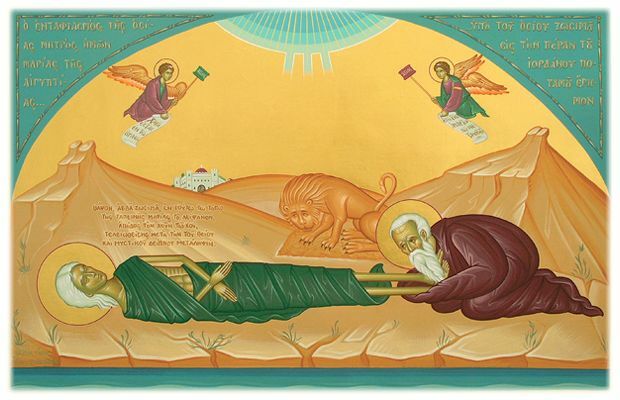 A lion helped St. Zosimas bury her body. She is a saint who overcame her predominant faults in the isolation of prayer and fasting. Her life was written down by St. Sophronius, Patriarch of Jersusalem. For those struggling with inordinate passions, St. Mary is an excellent patron. Her dates are disputed, but her death in 522 seems reasonable to most scholars. Here are the prayers from her feast day, April 3. The Apostle of the Gentiles calls the leaders of the Church to perfect the flock. If the leaders of the Church are not doing so, we must follow Christ and move towards holiness anyway. Therefore, a prisoner in the Lord, beseech you that you walk worthy of the vocation in which you are called, 2 With all humility and mildness, with patience, supporting one another in charity. 3 Careful to keep the unity of the Spirit in the bond of peace. 4 One body and one Spirit; as you are called in one hope of your calling. 5 One Lord, one faith, one baptism. 6 One God and Father of all, who is above all, and through all, and in us all. 7 But to every one of us is given grace, according to the measure of the giving of Christ. 8 Wherefore he saith: Ascending on high, he led captivity captive; he gave gifts to men. 9 Now that he ascended, what is it, but because he also descended first into the lower parts of the earth? 10 He that descended is the same also that ascended above all the heavens, that he might fill all things. 11 And he gave some apostles, and some prophets, and other some evangelists, and other some pastors and doctors, 12 For the perfecting of the saints, for the work of the ministry, for the edifying of the body of Christ: 13Until we all meet into the unity of faith, and of the knowledge of the Son of God, unto a perfect man, unto the measure of the age of the fulness of Christ; 13 Until we all meet into the unity of faith, and of the knowledge of the Son of God, unto a perfect man, unto the measure of the age of the fulness of Christ; 14 That henceforth we be no more children tossed to and fro, and carried about with every wind of doctrine by the wickedness of men, by cunning craftiness, by which they lie in wait to deceive 15 But doing the truth in charity, we may in all things grow up in him who is the head, even Christ: 16 From whom the whole body, being compacted and fitly joined together, by what every joint supplieth, according to the operation in the measure of every part, maketh increase of the body, unto the edifying of itself in charity. 17 This then I say and testify in the Lord: That henceforward you walk not as also the Gentiles walk in the vanity of their mind, 18 Having their understanding darkened, being alienated from the life of God through the ignorance that is in them, because of the blindness of their hearts. 19 Who despairing, have given themselves up to lasciviousness, unto the working of all uncleanness, unto the working of all uncleanness, unto covetousness. 20 But you have not so learned Christ; 21 If so be that you have heard him, and have been taught in him, as the truth is in Jesus: 22 To put off, according to former conversation, the old man, who is corrupted according to the desire of error. 23 And be renewed in the spirit of your mind: 24 And put on the new man, who according to God is created in justice and holiness of truth. 25 Wherefore putting away lying, speak; ye the truth every man with his neighbour; for we are members one of another. 26 Be angry, and sin not. Let not the sun go down upon your anger. 27 Give not place to the devil. 28 He that stole, let him now steal no more; but rather let him labour, working with his hands the thing which is good, that he may have something to give to him that suffereth need. 29 Let no evil speech proceed from your mouth; but that which is good, to the edification of faith, that it may administer grace to the hearers. 30 And grieve not the holy Spirit of God: whereby you are sealed unto the day of redemption. 31 Let all bitterness, and anger, and indignation, and clamour, and blasphemy, be put away from you, with all malice. 32 And be ye kind one to another; merciful, forgiving one another, even as God hath forgiven you in Christ. 1 But of the times and moments, brethren, you need not, that we should write to you; 2 For yourselves know perfectly, that the day of the Lord shall so come, as a thief in the night. 3 For when they shall say, peace and security; then shall sudden destruction come upon them, as the pains upon her that is with child, and they shall not escape. 4 But you, brethren, are not in darkness, that that day should overtake you as a thief. 5 For all you are the children of light, and children of the day: we are not of the night, nor of darkness. 6 Therefore, let us not sleep, as others do; but let us watch, and be sober. 7 For they that sleep, sleep in the night; and they that are drunk, are drunk in the night. 8 But let us, who are of the day, be sober, having on the breastplate of faith and charity, and for a helmet the hope of salvation. 9 For God hath not appointed us unto wrath, but unto the purchasing of salvation by our Lord Jesus Christ, 10 Who died for us; that, whether we watch or sleep, we may live together with him. 11 For which cause comfort one another; and edify one another, as you also do. Holy Mother Church in her wisdom has warned Catholics not to look to the signs of the times as signs of the Second Coming. We can see signs which show us we are heading for great persecution, but that is not the same as jumping to a conclusion that then Christ will come. As usual, St. Thomas Aquinas has some wisdom for us on this subject. Here are a few quotations: ST, Supplement, q 73. I answer that, When Christ shall come to judge He will appear in the form of glory, on account of the authority becoming a judge. Now it pertains to the dignity of judicial power to have certain signs that induce people to reverence and subjection: and consequently many signs will precede the advent of Christ when He shall come to judgment, in order that the hearts of men be brought to subjection to the coming judge, and be prepared for the judgment, being forewarned by those signs. But it is not easy to know what these signs may be: for the signs of which we read in the gospels, as Augustine says, writing to Hesychius about the end of the world (Ep. lxxx), refer not only to Christ's coming to judgment, but also to the time of the sack of Jerusalem, and to the coming of Christ in ceaselessly visiting His Church So that, perhaps, if we consider them carefully, we shall find that none of them refers to the coming advent, as he remarks: because these signs that are mentioned in the gospels, such as wars, fears, and so forth, have been from the beginning of the human race: unless perhaps we say that at that time they will be more prevalent: although it is uncertain in what degree this increase will foretell the imminence of the advent. The signs mentioned by Jerome are not asserted by him; he merely says that he found them written in the annals of the Hebrews: and, indeed, they contain very little likelihood. Reply to Objection 1. 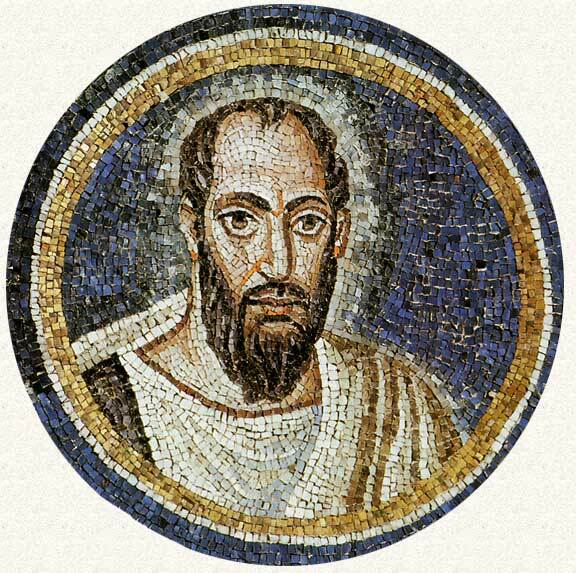 According to Augustine (Ad Hesych., Ep. lxxx) towards the end of the world there will be a general persecution of the good by the wicked: so that at the same time some will fear, namely the good, and some will be secure, namely the wicked. The words: "When they shall say: Peace and security," refer to the wicked, who will pay little heed to the signs of the coming judgment: while the words of Luke 21:26, "men withering away," etc., should be referred to the good. 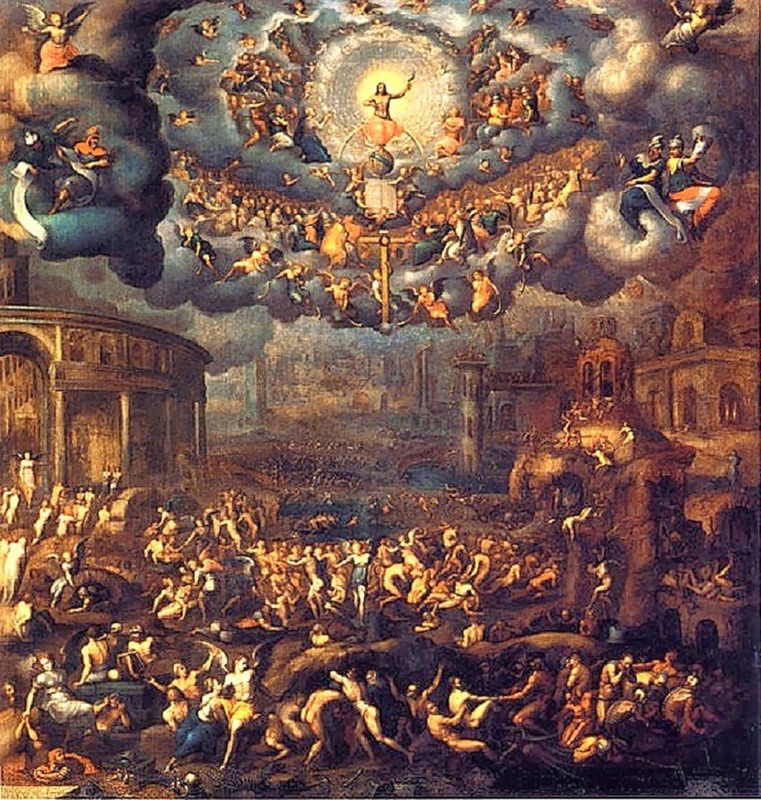 We may also reply that all these signs that will happen about the time of the judgment are reckoned to occur within the time occupied by the judgment, so that the judgment day contains them all. Wherefore although men be terrified by the signs appearing about the judgment day, yet before those signs begin to appear the wicked will think themselves to be in peace and security, after the death of Antichrist and before the coming of Christ, seeing that the world is not at once destroyed, as they thought hitherto. Reply to Objection 2. The day of the Lord is said to come as a thief, because the exact time is not known, since it will not be possible to know it from those signs: although, as we have already said, all these most manifest sings which will precede the judgment immediately may be comprised under the judgment day. Reply to Objection 3. At His first advent Christ came secretly, although the appointed time was known beforehand by the prophets. Hence there was no need for such signs to appear at His first coming, as will appear at His second advent, when He will come openly, although the appointed time is hidden. I think most of us should be more concerned about our particular judgment than the final one. Too much theorizing about the End Times can be a distraction, taking us away from considering our own souls and our state of sinfulness or holiness at the time of our deaths. Do not forget to make prayers for all the dead in your families. I go to cemeteries and pray for the dead when I can. Recently, a friend of mine reminded me that many veterans have no one to pray for them. You may do that. I also remind people to pray for children over the age of reason, as children can and do sin as well. 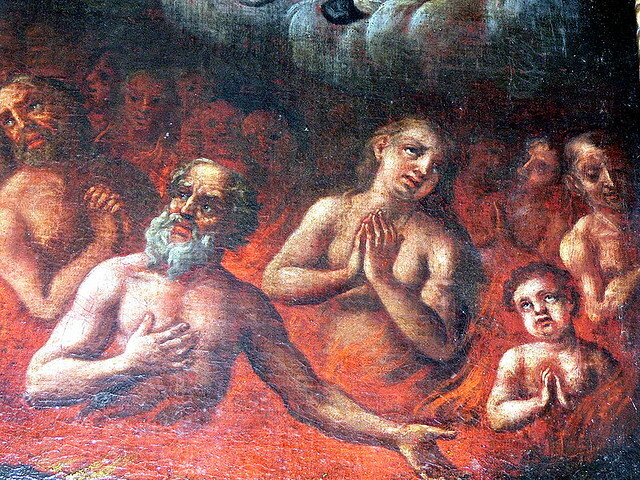 One can get into the habit of daily praying for souls in purgatory. 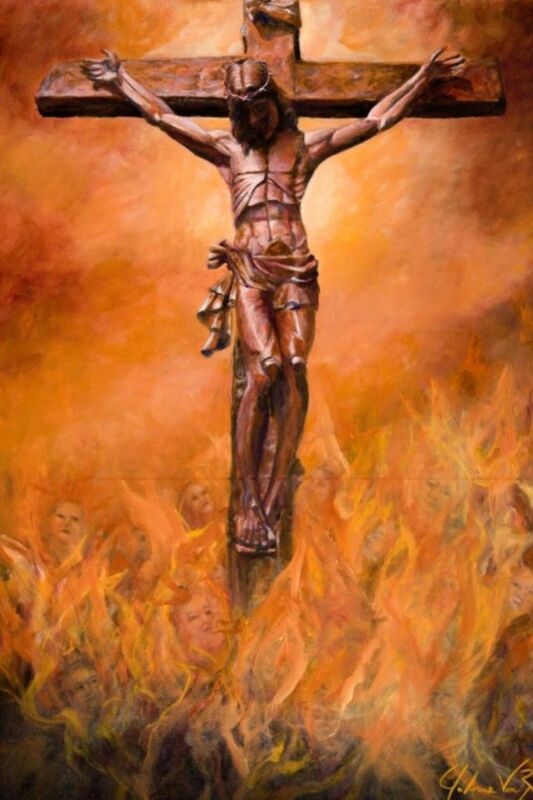 For example, unless I am praying a rosary novena for someone or something, I use the fifth decade on my daily rosary for the holy souls in purgatory. 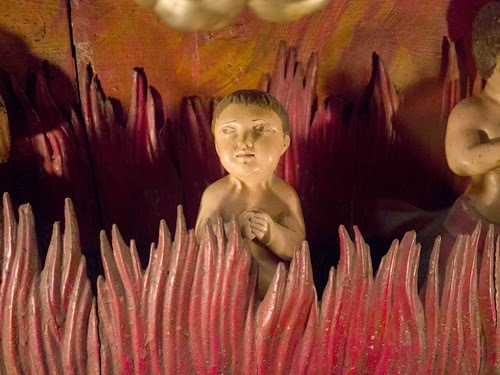 The cremation rosary so creeped me out that I need to write about proper honor and love for the dead ones in our families. Holy Mother Church has been clear on the correct manner of praying for the dead and not to the dead, unless these dead are saints. When, therefore, my mother had at one time— as was her custom in Africa— brought to the oratories built in the memory of the saints certain cakes, and bread, and wine, and was forbidden by the door-keeper, so soon as she learned that it was the bishop who had forbidden it, she so piously and obediently acceded to it, that I myself marvelled how readily she could bring herself to accuse her own custom, rather than question his prohibition. … because these, so to say, festivals in honour of the dead were very like the superstition of the Gentiles, she most willingly abstained from it. And in lieu of a basket filled with fruits of the earth, she had learned to bring to the oratories of the martyrs a heart full of more purified petitions, and to give all that she could to the poor; that so the communion of the Lord’s body might be rightly celebrated there, where, after the example of His passion, the martyrs had been sacrificed and crowned. Some modern. secular customs do not follow older Catholic ones. Waking, which is a European custom, is approved and frequently done in connection with Catholic funeral parlors. A funeral Requiem Mass with the remains present is the time not for celebrating the person's life, or for eulogies, but for sincere prayers for the dead. 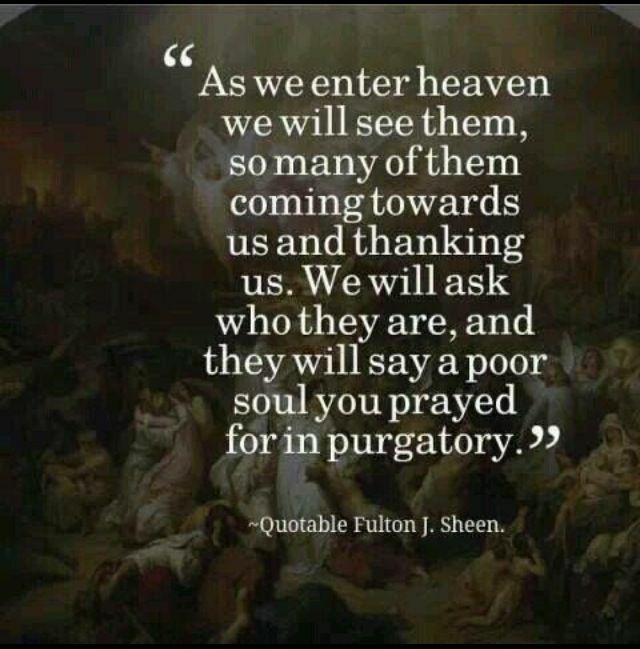 Most people who were practicing Catholics would need such prayers to be released from the pains of purgatory. Later, one can have Memorial Masses for the dead. In earlier years, these were sung and black vestments were used. I remember, as I sang in the choir for these types of liturgies for years. One can have Masses said, and one can do plenary indulgences for the dead and the rules for obtaining those are at the bottom of this post. One should visit the grave out of respect, but not over-indulging in grief. Our family would go once a year, using on Memorial Day, or November 2nd, weather permitting. 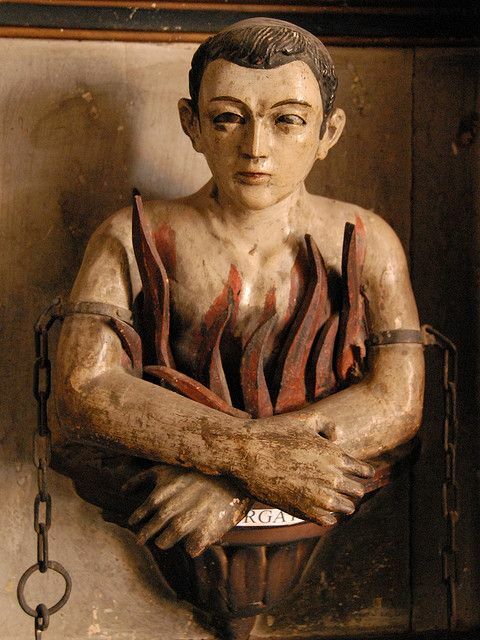 Remember, purgatory is purgation for not dealing with even venial sins and imperfections, for not facing and being purged of one's predominant fault. Can. 992 An indulgence is the remission before God of temporal punishment for sins whose guilt is already forgiven, which a properly disposed member of the Christian faithful gains under certain and defined conditions by the assistance of the Church which as minister of redemption dispenses and applies authoritatively the treasury of the satisfactions of Christ and the saints. Can. 993 An indulgence is partial or plenary insofar as it partially or totally frees from the temporal punishment due to sins. Can. 994 Any member of the faithful can gain partial or plenary indulgences for oneself or apply them to the dead by way of suffrage. Can. 995 §1. 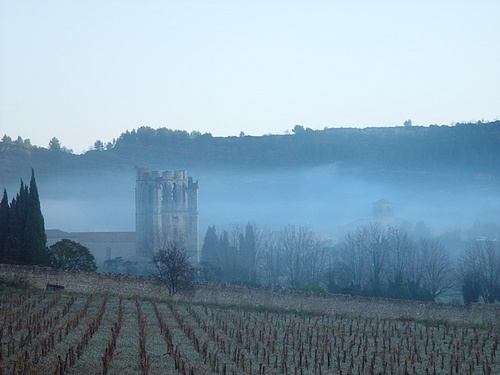 In addition to the supreme authority of the Church, only those to whom this power is acknowledged in the law or granted by the Roman Pontiff can bestow indulgences. Can. 996 §1. To be capable of gaining indulgences, a person must be baptized, not excommunicated, and in the state of grace at least at the end of the prescribed works. Can. 997 As regards the granting and use of indulgences, the other prescripts contained in the special laws of the Church must also be observed. Rules current for obtaining a plenary indulgence for someone in purgatory (or one's self). —receive the Holy Eucharist on the same day as praying for the soul. One Our Father, one Hail Mary, and one Glory Be are sufficient, although many Catholics do three.